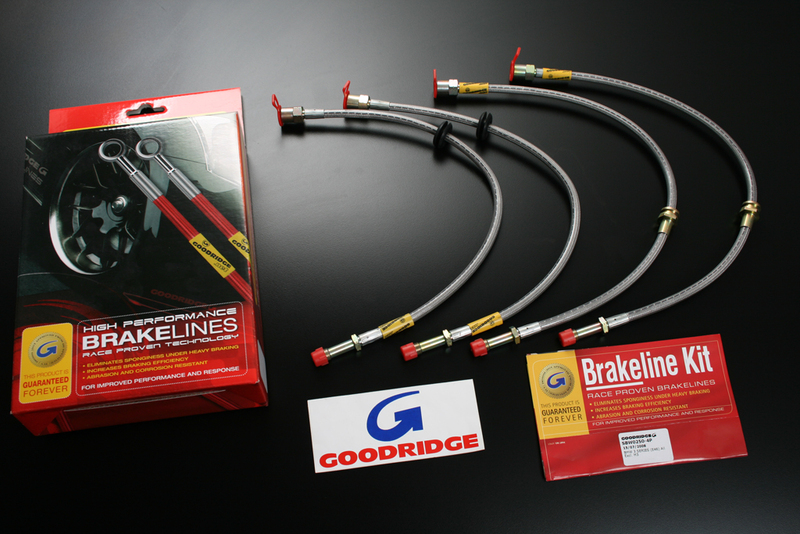 Goodridge stainless steel braided brake lines have become the standard in professional motorsports where the ultimate in braking is required. There is no room for volumetric expansion, or “mushy brakes” caused by rubber lines. A highly efficient braking system allows you to get deeper into the corner and onto the accelerator faster. Click the button below to add the Goodridge Brake lines Front and Rear suit 01-07 WRX to your wish list.